MEXICO – Students enrolled in the Heavy Equipment Repair and Operation (HERO) course through the Center for Instruction, Technology and Innovation had the opportunity to put their newly-learned skills to use in assisting the Mexico Academy and Central School District to tear down its previous district office. 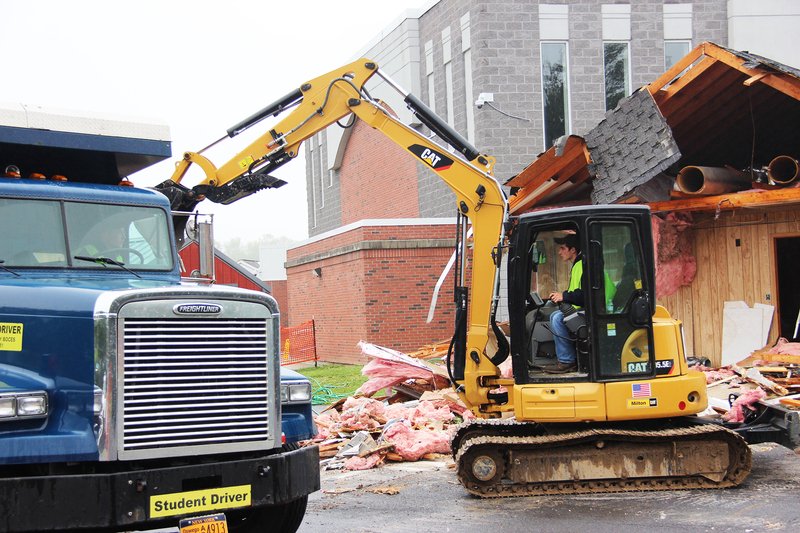 CiTi student Cullynn Morely operates the mini excavator and Andrew Dashnaw drives the dump truck at the demolition of the old MACS district office. The joint effort between CiTi and MACS offered mutual benefit; the HERO students’ involvement provided them with real-life experience and a sense of accomplishment. Mike Wood, Mexico director of facilities, said that safety was a first priority. MACS installed a safety fence before the work began and Mexico personnel as well as the heavy equipment instructors were also on site for supervision. Twelve -15 students operated equipment, maintained traffic control, monitored potential foot traffic around the work perimeter and hosed down debris for dust control. CiTi students used their dump truck to transport some of debris to Bristol Hill Landfill in Fulton. Several Butler Waste dumpsters were also picked up. After the wooden structure was down and debris carried away, the last part of the job involved breaking up the concrete slab floor and foundations with a hoe ram and then filling in the area with topsoil. The Career and Technical Education HERO class teaches students to service, repair and operate various types of heavy duty trucks and excavation equipment throughout the school year. The course also provides training for a Commercial Driver’s License (Class B, CDL-B) and provides a 10-hour OSHA certification credential. 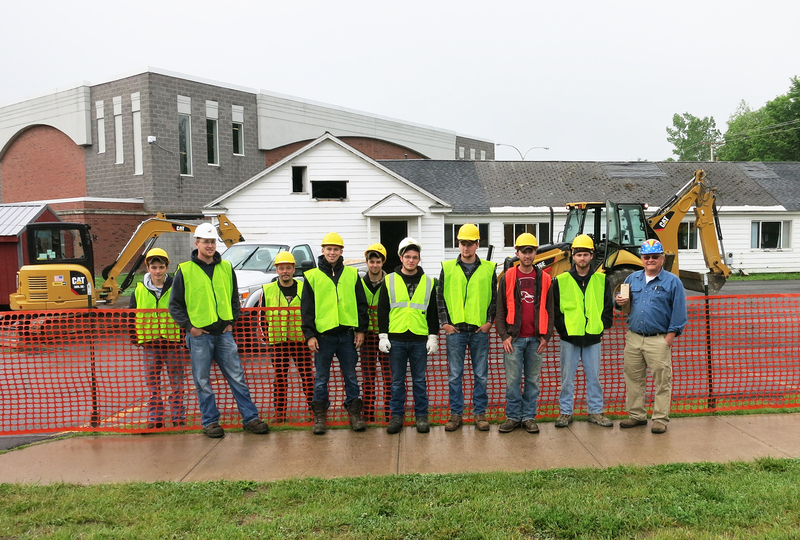 CiTi Heavy Equipment Repair and Operation students pose for a photograph before the teardown of the district office begins. Left to right: Cullynn Morley, Andrew Dashnaw, HERO Instructor Shane Daubek, Walker Connolly, Edward Lauricella, Dominick Lauricella, Tyler Greenleaf, Nick Bell, Dan Siegle and HERO Instructor John DeSantis. The program currently has articulation agreements with SUNY College of Technology and Lincoln Technical College. 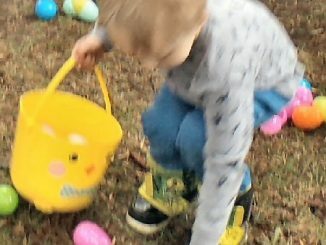 All program materials like work boots, hard hats and safety glasses are provided. According to the Bureau of Labor Statistics, construction equipment operators earn, on average, $40,980 a year ($19.70 per hour) with a “faster than average” job outlook. Heavy Vehicle and Mobile Equipment Service Technicians make $43,820 a year ($21.07 per hour), no college degree required. Many of these kinds of jobs would require on-the-job training upon hire, but CiTi students taking the HERO program will have a jump-start in the job market.